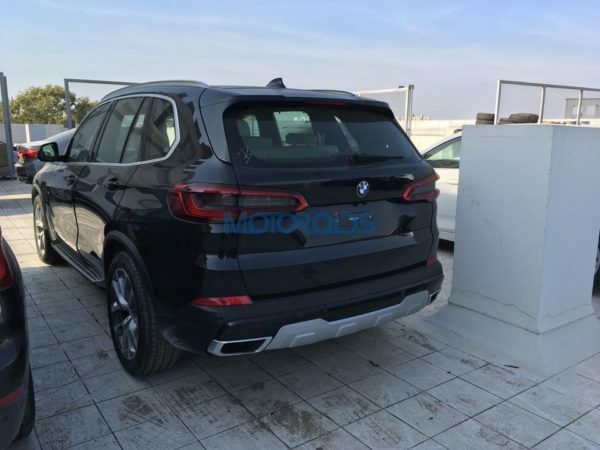 The first unit of the 2019 BMW X5 has reached India, spy shots posted by Motoroids reveal. The fourth generation model should go on sale here sometime in 2019. BMW has imported the all-new X5 in India in the xDrive30d entry-level diesel variant. The 2019 BMW X5 features an evolutionary design not only more sophisticated than its predecessor but also significantly larger. The length, width and height have increased by 36 mm, 66 mm and 19 mm respectively. The wheelbase has extended by 42 mm. At the front, the 2019 BMW X5 features a noticeably larger BMW kidney grille with single-piece-surround and BMW Laserlight with adaptive LED headlights. On the sides, the precise character line rises up at the rear door, giving the vehicle a sportier style. Looking from the rear, the slimmer LED combination lamps are the identification of the third generation model. Inside, the BMW X5 has a classier design with elements inspired by those of other latest BMWs like the 8 Series and the X3. Raised seating position, adoption of virtual instrument cluster (12.3-inch) and Panorama glass roof Sky Lounge, fitment of the third generation head-up display with a larger footprint and more information, replacement of the 10.25-inch central display with the 12.3-inch central display and addition of massage function for the front seats are a few of the main upgrades brought by the lifecycle makeover. The engine line-up of the 2019 BMW X5 comprises four variants: xDrive40i, xDrive50i, xDrive30d and M50d. A new xDrive AWD system and an improved 8-speed Steptronic transmission with sportier shifts and new control electronics for enhanced efficiency come standard. The new xDrive AWD system can split drive torque between the front and rear wheels with even greater precision and speed. 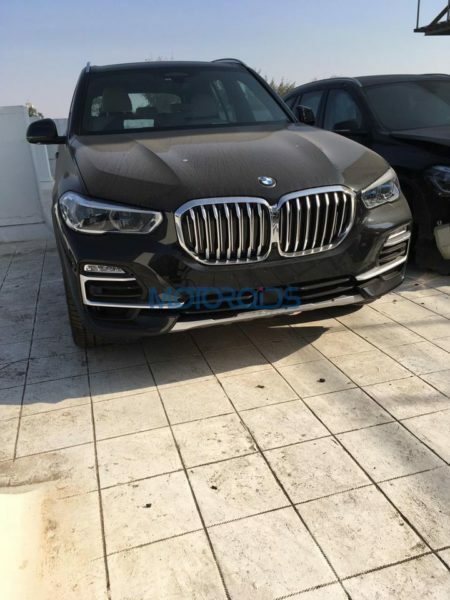 Seen in the images is the xDrive30d variant which uses a 3.0-litre diesel engine that delivers 265 PS at 4,000 rpm and 620 Nm of torque at 2,000-2,500 rpm. It can go from nought to 100 km/h in 6.5 seconds. The worldwide market launch of the 2019 BMW X5 took place in November 2018. The 2019 BMW X5’s prices could start in the INR 70-75 lakh (ex-showroom) range.